Who doesn’t love the idea of vacuuming taking little more effort than putting your feet up and tapping an App? I’ve been loaned the latest iRobot Roomba 980 to see whether we’re all missing a trick by doing the vacuuming by hand. (Wo)Man versus Robot – here we go. I don’t love housework. In fact I pay a lovely lady to come and clean my house several times a month. She is worth her weight in gold but is the Roomba? Especially with its hefty price-tag of £899.99? Out of the box the Roomba was super straightforward to set-up – so even if you consider yourself “not tech-y” you’ll be fine with it. 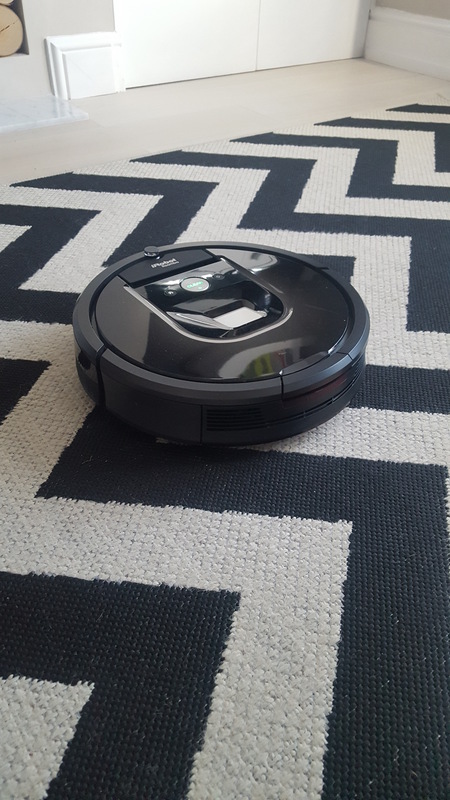 I plugged in the docking station, charged the Roomba for a few hours and downloaded the free App. I waited until my one year old was mid way through an extra crumbly muffin (and safely lifted off the floor in a high chair) and put the vac to the test on the wooden floor. 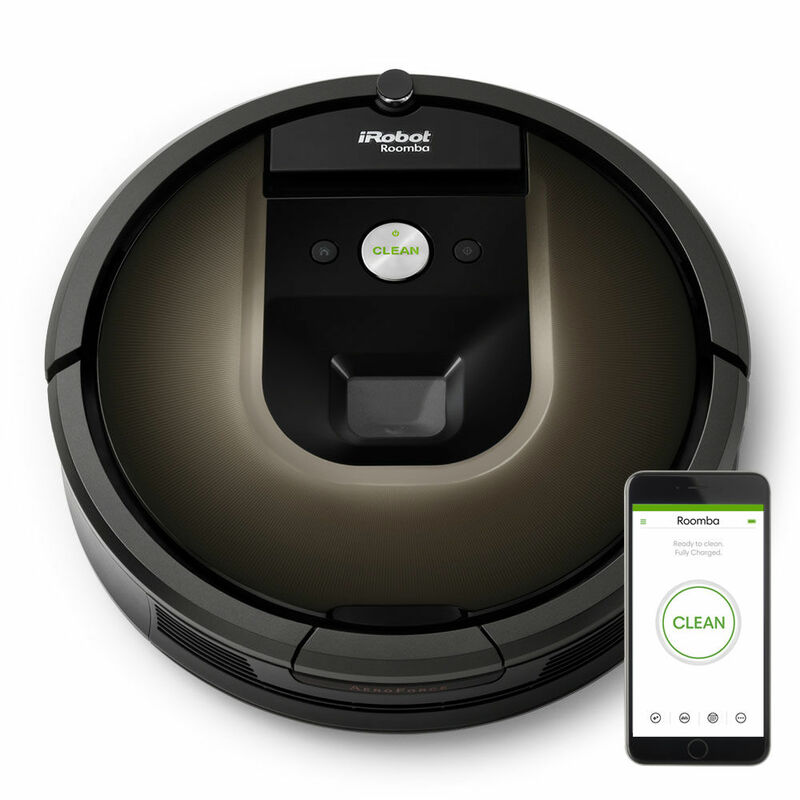 I was really impressed with the iAdapt Navigation with Visual Localisation feature – the Roomba roved around my open plan kitchen/diner avoiding obstacles, getting under the high chair and cleaning as it went. 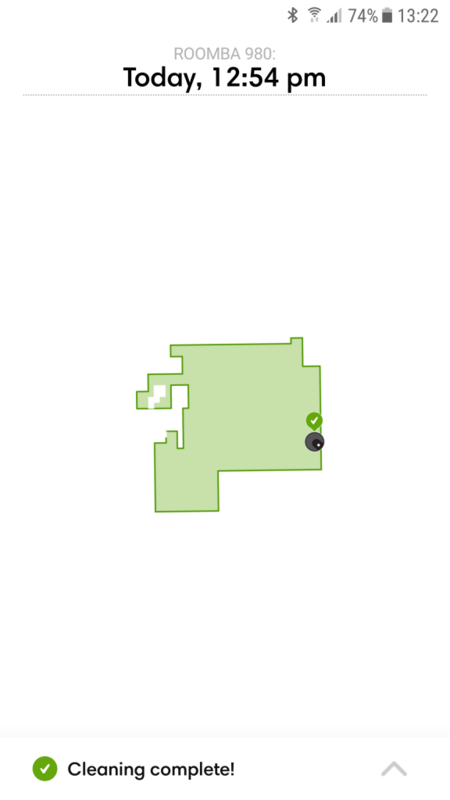 Once it has vac-ed a room he remembers the layout for next time, and where his docking station is. Clever. So – Roomba completed that space in 23 minutes and then automatically took himself back to his charging station. Next I tried Roomba on a multi textured floor – part wood, part rug, part lino. This was where the Roomba impressed me the most – it fairly seamlessly transitioned between the levels and surfaces and I literally put my feet up on the sofa whilst it vacuumed around me. I noticed a much better result on the rug and carpeted areas than I did on my wooden floor. Annoyingly for me – wooden flooring makes up the majority of my home. It was fun having a robot come and stay for the week. Rooms that previously got vacuumed once a fortnight got vacuumed more regularly and with little/no effort from me. I would say that this for me wouldn’t completely replace my handheld or main vacuum – and three vacuums is pretty excessive for one average household no? But if money is no object, you love robotics and you don’t mind a few crumbs being missed here and there – the Roomba 980 could be just the ticket.